Switched at birth by a young slave woman attempting to protect her son from the horrors of slavery, a light-skinned infant changes places with the master's white son. This simple premise is the basis of Pudd'nhead Wilson, a compelling drama that contains all the elements of a classic 19th-century mystery: reversed identities, a ghastly crime, an eccentric detective, and a tense courtroom scene. First published in 1894, Twain's novel bristles with suspense. 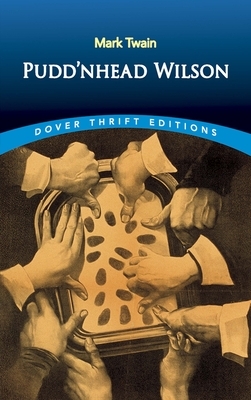 David "Pudd'nhead" Wilson, a wise but unorthodox lawyer who collects fingerprints as a hobby, wins back the respect of his townspeople when he solves a local murder in which two foreigners are falsely accused. Witty and absorbing, this novel features a literary first -- the use of fingerprinting to solve a crime. This gem was Twain's last novel about the antebellum South; and despite its frequent injections of humor, it offers a fierce condemnation of racial prejudice and a society that condoned slavery. After the Civil War, Samuel Clemens (1835-1910) left his small town to seek work as a riverboat pilot. As Mark Twain, the Missouri native found his place in the world. Author, journalist, lecturer, wit, and sage, Twain created enduring works that have enlightened and amused readers of all ages for generations.